It is recommended to clean your ID card printer each time you change your dye film for optimal printing performance and to prolong the lifespan of your ID card printer. 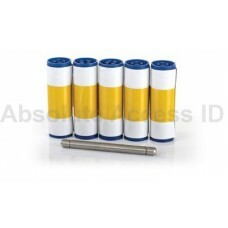 Absolute Access ID stocks the largest selection of genuine Magicard cleaning kits for use with your Magicard ID card printer. Magicard recommends using only genuine Magicard cleaning kits and products with your Magicard ID card printer for best results. Magicard Cleaning Kit, MGC-3633-0053, for Rio Pro and Enduro+, Consist of 10 Cards, 1 Pen Ma..
Magicard Cleaning Kit, MGC-3633-0054 for Rio Pro and Enduro+, Cleaning Rollers (5 Sleeves, 1 R..